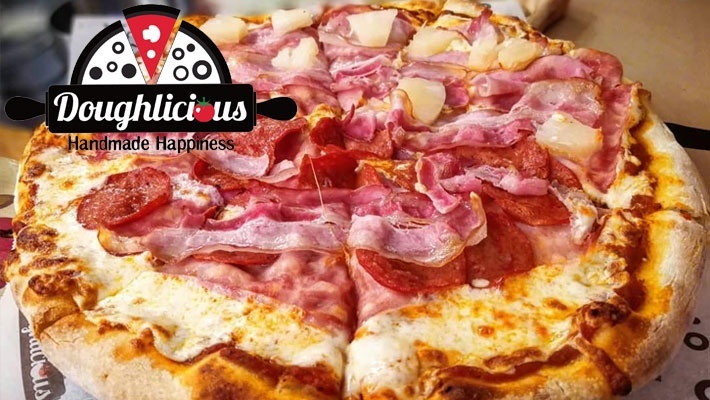 Coupons valid until June 15, 2019. May redeem multiple coupons, one coupon per 2 persons per visit. Valid at Jounieh branch. Valid for dine-in and takeaway. Open Sunday to Thursday from 11 AM till 12 AM, Friday & Saturday from 11 AM till 4 AM. No coupon required for kids between 1 and 4 years old. Reservation required on 81 271 111, quote Gosawa coupon. Coupons must be printed. No carry over. VAT included in price. Standard terms & conditions apply. 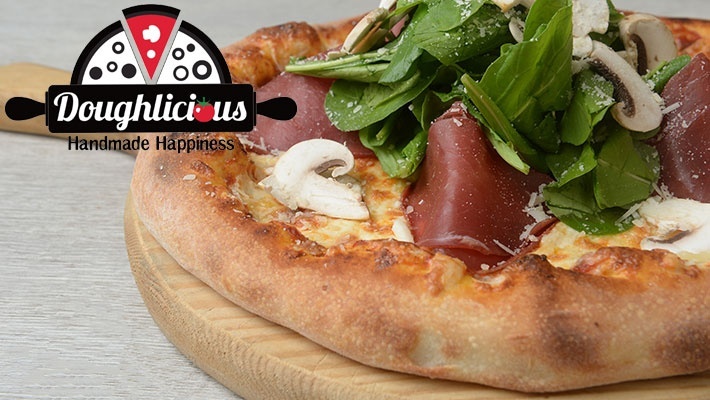 No one can resist the smell of a freshly baked pizza with all its delicious toppings. 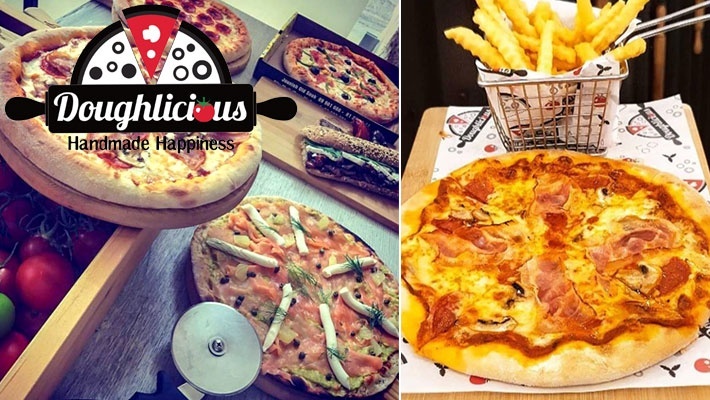 Get 1 Large Pizza, 2 Regular Fries, Wings / Chocolate Pizza & 2 Soft Drinks at Doughlicious, only $16 instead of $25. 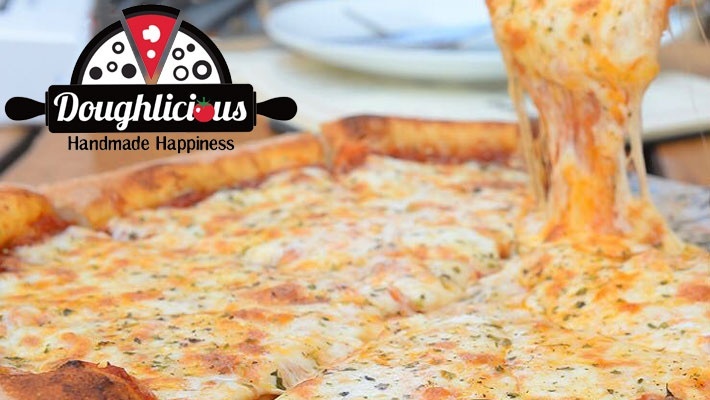 Cheesy pizza, sizzling fries and more! 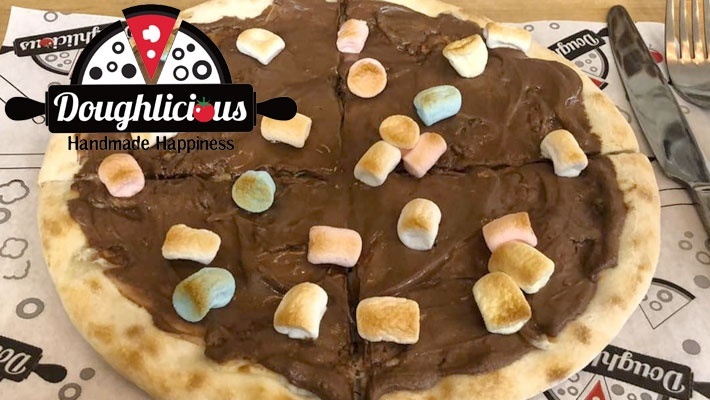 If you’re looking for mouthwatering food made with fresh ingredients, Doughlicious is the place to be! They guarantee quick service, cozy seating, a unique atmosphere and a wide variety of delicacies. 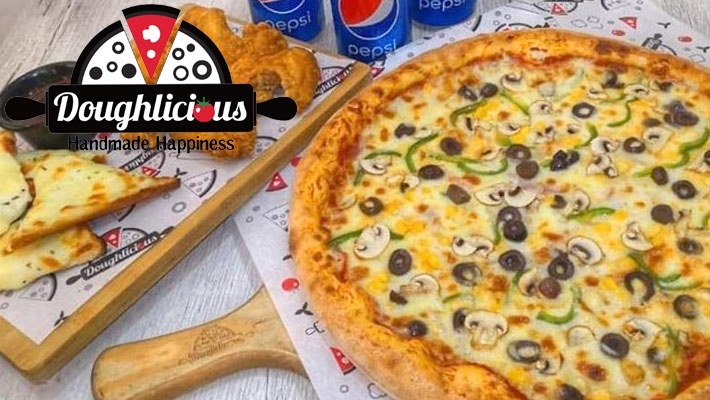 Doughlicious focuses on the balance between the authenticity of pizza and the creation of trendy meals! 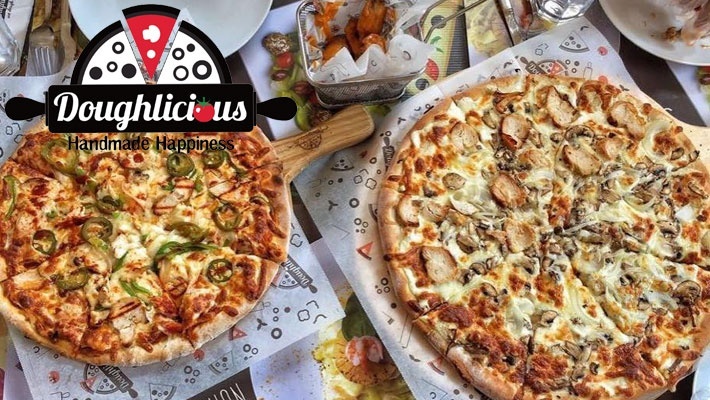 On their menu you can find delicious starters, salads, sandwiches, regular, gourmet and specialty pizzas, pastas, desserts and drinks. 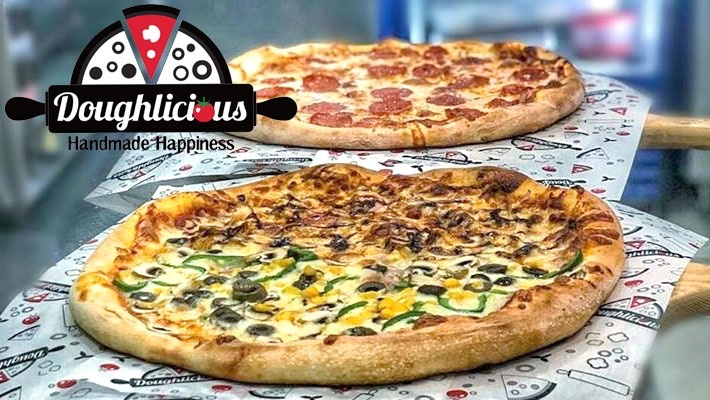 Doughlicious is available in two branches; Jounieh and City Mall to stay close to you for dine-in or takeaway!